Satellites And Channels Available on Strong Below are the Satellites and Free-to-air Channels receivable in Africa from Strong. Below are the Satellites and Free-to-air Channels receivable in Africa from Strong. Lucky enough, I just stumbled on the Flash share app from Techsng.com and so I decided that I share it here. Click here to get the Flash share APK file from Techsng. 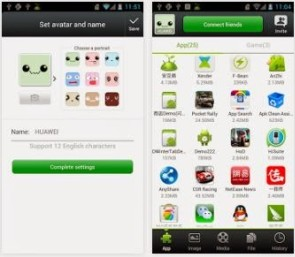 If you wish to to download Xender instead, click here to download Xender from play store. WAEC or WASSCE is an examination taken by students who has completed their "SS II" or "SS III" classes in their different secondary school. This examination is taken by students in some African countries like Nigeria, Ghana, Liberia, Sierra Leone, Gambia etc. The Academic Staff Union of Universities (ASUU), University of Ibadan chapter, on Wednesday asked Ishaq Oloyede, registrar of Joint Admissions and Matriculation Board, to resign. Information reaching us from our Insurance news desktop is that Lagos state will begin health insurance scheme by November. Disturbed by high rate of building collapse, the Lagos State Government on Tuesday disclosed that it had concluded plan to introduce compulsory insurance for all buildings under construction within its territory. Learn how to check your NECO RESULT 2017/2018 here www.mynecoexams.com for the June/July 2017/2018 NECO examination. Learn how to c heck your NECO RESULT 201 7 /201 8 here www.mynecoexams.com for the June/July 201 7 /201 8 NECO examination.